Growing herbs can be expensive, particularly if the plants that you choose are annuals that will only grow for one year. Try choosing from this list of perennial herbs instead. They will give long lasting value, year after year. Hands down, the best value for your dollar is a perennial plant. I’ve noticed that many garden centers now sell larger annuals in 6″ pots (or even larger) with a hefty price tag. The price of some annuals is now almost the same as a perennial plant, which makes the choice even easier – perennials all the way! What is a perennial herb? A perennial herb is a plant that will last more than 2 years in your garden. Most of them go dormant over the winter months, to come back again in spring. Tender perennials will grow for many years, but most will only do this outdoors in the warmer climates. If you live in a colder location, you can still grow them and have them last over the winter, but will need to bring them indoors when the frost arrives. Annual herbs, on the other hand last just one year, and Biennial herbs last two. See more about the differences between the types of herbs here. I use herbs all the time in cooking. To me, the difference in taste between dried and fresh herbs is night and day, so I grow herbs year round, both indoors in the winter and outside in the warmer months. Here is a list of perennial herbs that will over winter and come back next year. Some will work for most of the cold hardiness zones. Others are more tender and need to be grown in pots and brought indoors in the winter in colder climates. 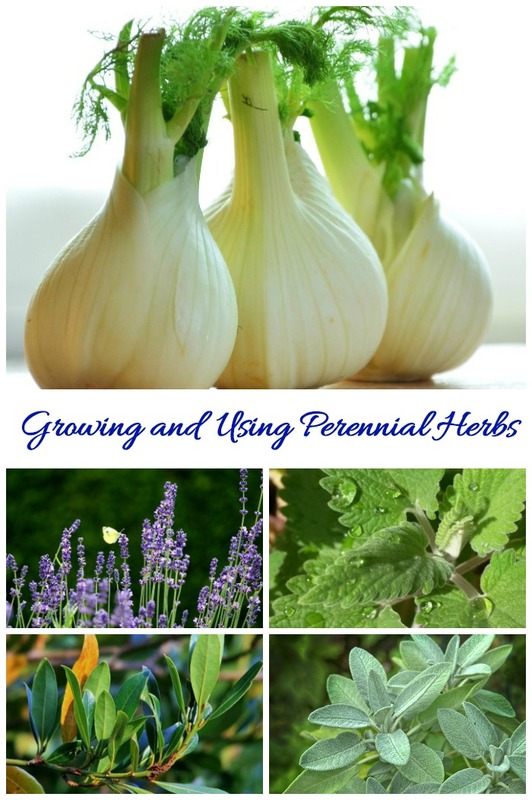 My list of perennial herbs will give you some facts about each herb, their hardiness zones and some tips for using them in recipes. Aniseed or star anise is a flowering plant of the parsley family. It is native to the Mediterranean area, as well as Southwest Asia. It has feathery leaves and flowers that are produced on umbrels. The flowers have small brown seeds that have a licorice flavor. These seeds are what we typically use in the kitchen. The leaves are also sometimes used in salads or soups. Anise is cold hardy in zones 4-9. 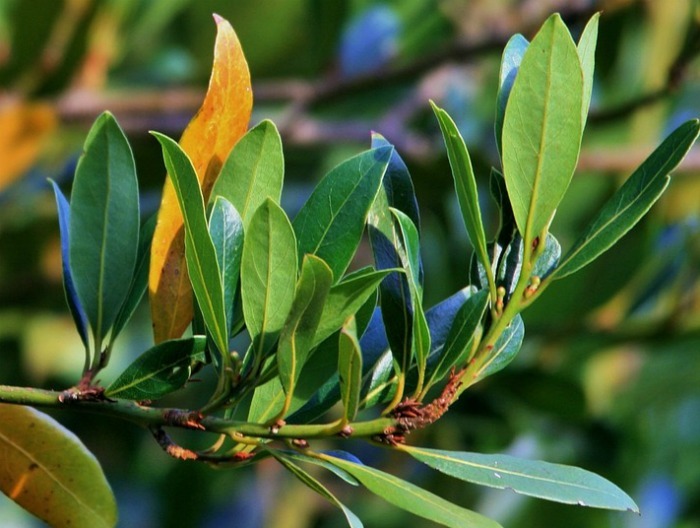 The leaves of bay laurel are used in soups and stews. Fresh leaves have a much stronger flavor than the commonly seen dried leaves. Use bay to flavor meat and game dishes. The fresh leaves are used mainly in marinades and for preserving fish. Bay laurel is hardy in the warmer zones, 8 and above. In colder zones, it is frost tender and is best grown in a pot so that you can bring it indoors for the winter. If you can grow it outdoors are year, it will grow into a tree size. See my tips for growing bay laurel here. It is the flowers of bergamot that are used in the kitchen but the leaves can also be used to make healing teas. The flowers make an edible garnish and can also be used in salads. Use the petals of the flowers to make bee balm jelly, too. 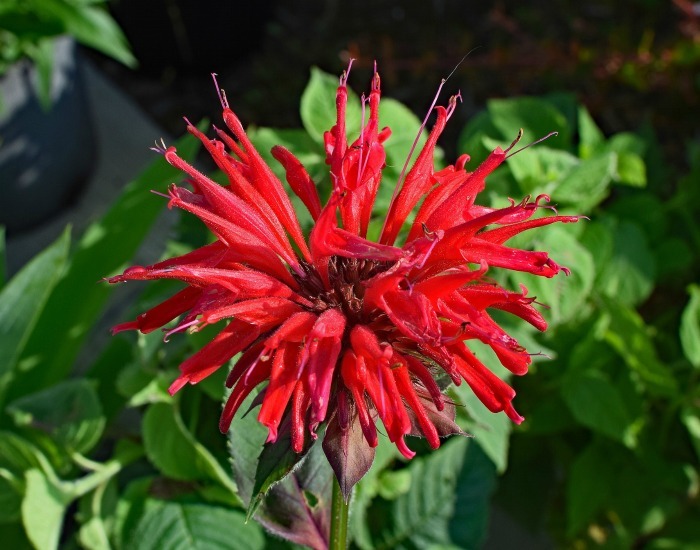 Bee balm is a member of the mint family and is often grown in cottage gardens. Use the leaves to flavor lamb recipes. It is cold hardy in zones 4-9. It is not just cats that are attracted to catnip. The leaves of the plant leaves can be candied and added to dessert recipes. And the oil from the leaves are used to relieve nervousness and headaches. It can also be used for indigestion. Catnip is cold hardy in zones 3-9. Grows to 2-3 feet. 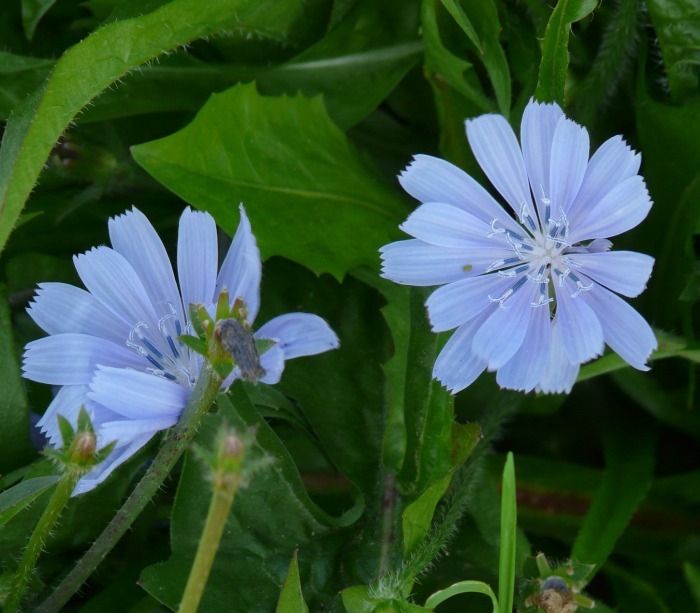 Use chicory roots in coffee, and leaves in salads. The leaves are nice braised in butter and served over vegetables. Add chicory leaves and flowers as a garnish. Hardy in zones 3-9. 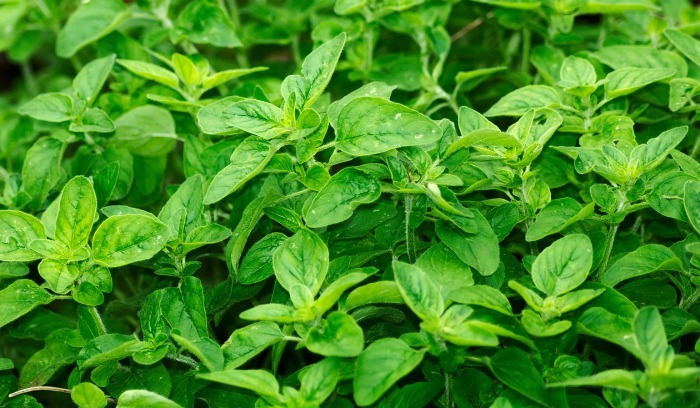 This useful kitchen herb grows to a height of 12 – 24 inches tall. It is a hardy perennial that will over winter in zones 3 – 9. 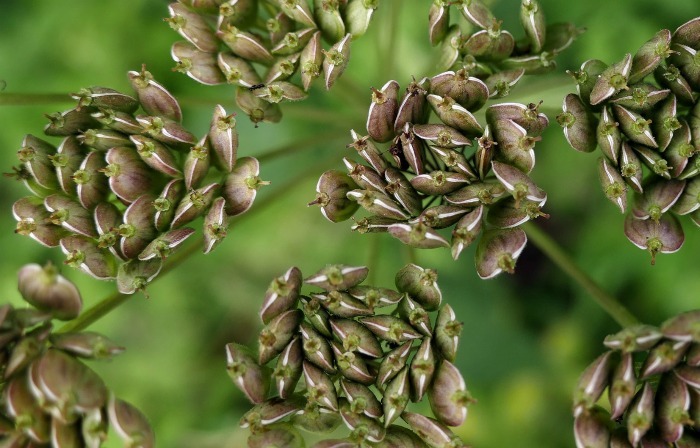 Chives are members of the onion family. Use them chopped as a garnish for soups, or sauces. They also make an onion substitute for onions if you run out. 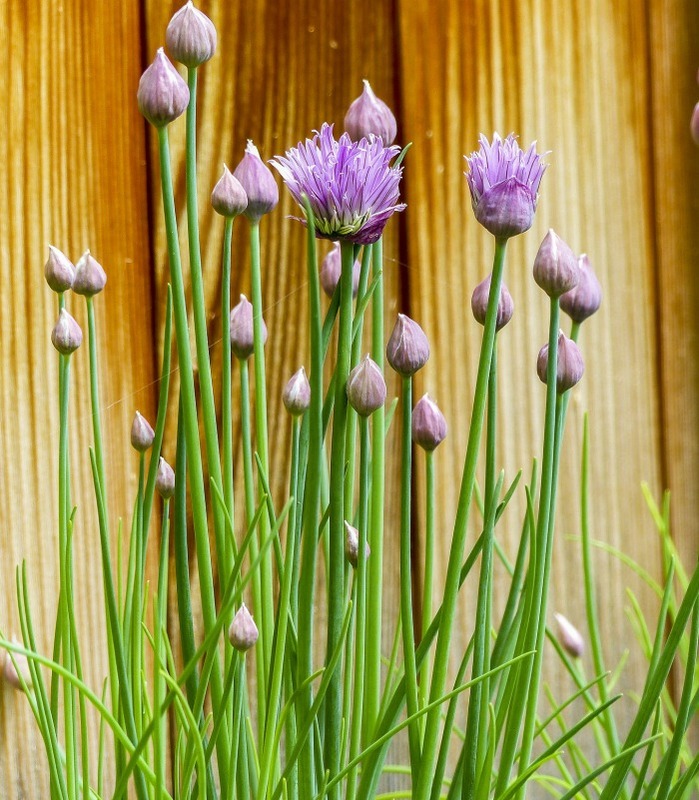 The flowers of chives are wonderful as a garnish or for pickling in vinegar. See my tips for growing chives here. Garlic chives are also a perennial herb. Most gardeners tend to think of echinacea as the perennial flowering plant that graces cottage gardens. But echinacea has long been used as a herb for its medicinal benefits. 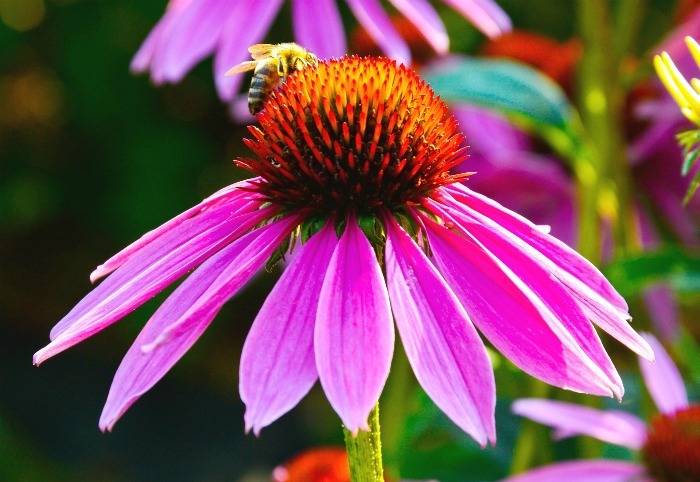 The roots of echinacea have active compounds that can be used for medicinal purposes such as helping colds and the flu. The leaves and petals of the flowers can also be used to make tea. Echinaea is cold hard to zones 3-8. See my tips for growing echinacea here. You’ll need some room to grow fennel. The plant will reach a height of 5-7 feet! Every part of the plant is edible. Fennel seeds add a delicious anise like taste to sauces. They are used on fish and in many baked goods. The leaves of fennel are lovely in salads and soups, and they make a great tasting stuffing. 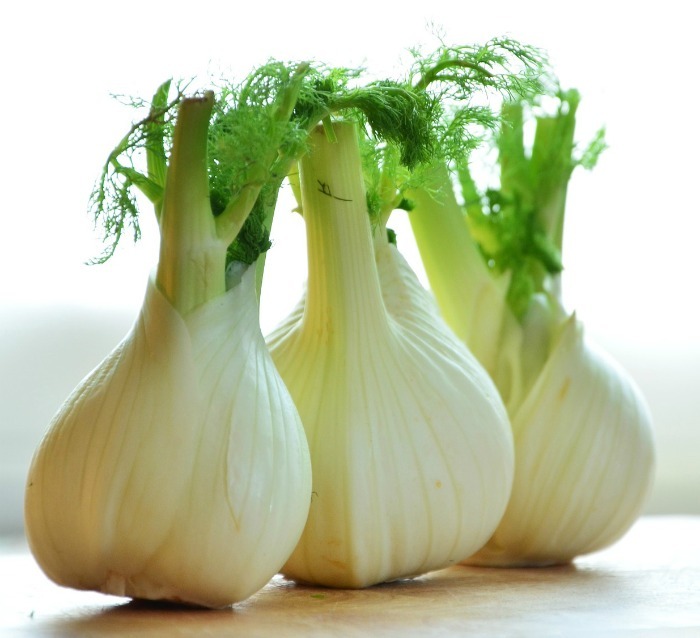 You can eat the bulbs of fennel as a cooked or raw vegetable. Fennel is cold hardy in zones 6-10 (if you don’t harvest the bulbs.) In zones 2-5 it grows as a biennial. 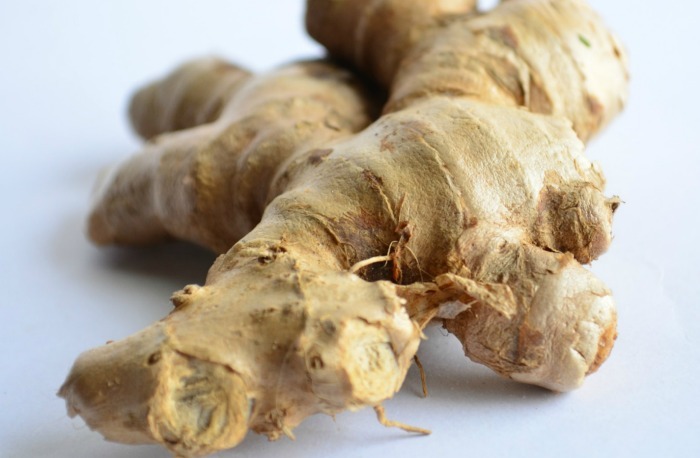 The roots of ginger are the ones that we think of when using in recipes. Ginger is a widely used spice in Asian cooking. The leaves can also be boiled and used in teas. They also pair well with rice and pork dishes. Ginger is a moderately tender perennial. It can usually be grown in zones 7 and higher, although the leaves will die in the winter in zones lower than zone 10. For colder zones, grow ginger in a pot and bring it indoors to help it over winter . 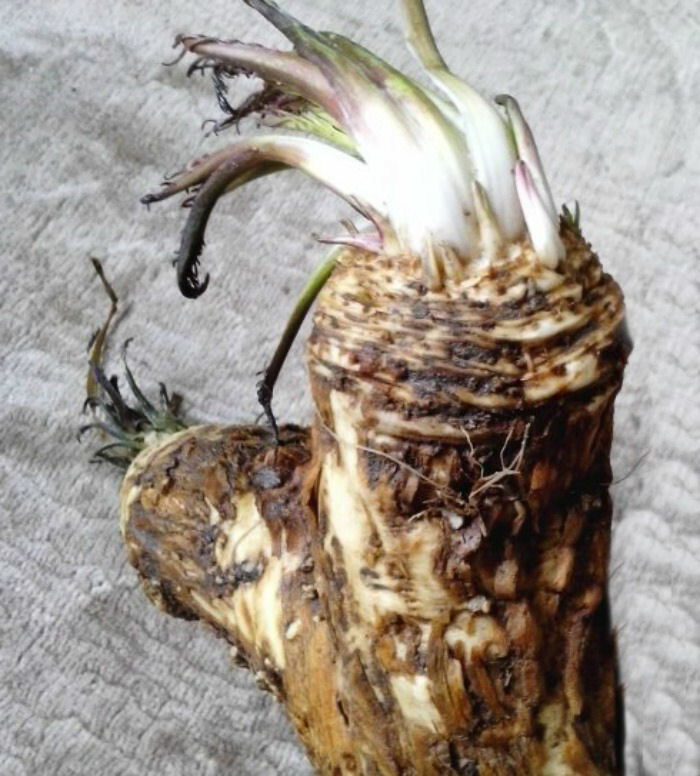 The root of horseradish plants are the most well known. It is used grated into salads, sauces and mayonnaise type dressings. The flavor goes very well with roast beef and fish. Horseradish plants grow to 18-24 inches tall. It is not the prettiest plant, for sure! To harvest, dig up the roots in autumn. The leaves can be picked and dried any time. The leaves have a sharp, bitter taste. Hardy in zones 3-9. This perennial herb is known most often as a medicinal herb. It relieves colds and sore throats, and the mold that grows on the leaves are used to make penicillin. It grows to 18-24 inches tall. To use hyssop in the kitchen, use hyssop leaves, which are pungent and aromatic with game and fish dishes and in soups and stews. Add the flowers to salads. 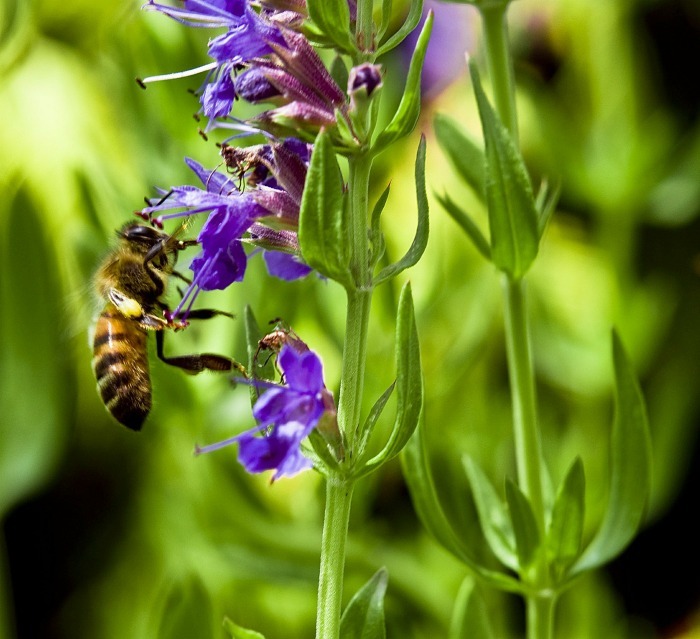 Hyssop leaves also make a soothing tea if you have a cold or sore throat. Hyssop is cold hardy in zones 6-10. 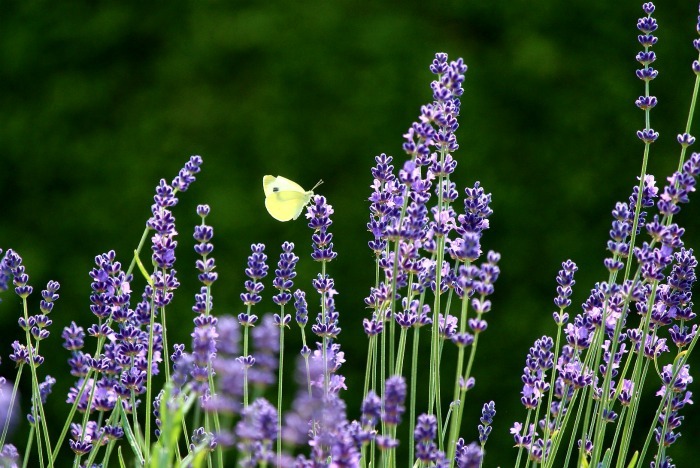 Grow lavender in a sunny spot in well draining soil. Lavender flowers are used to flavor jams and vinegars. They can also be used with savory herbs in soups and stews. The flowers can also be crystallized and used as a garnish for ice cream, cakes and cookies. The leaves of lavender are bitter but can be used in small amounts in salads. Most lavender varieties are hardy in zones 5-9. Spanish lavender will only over winter in zones 7-9. 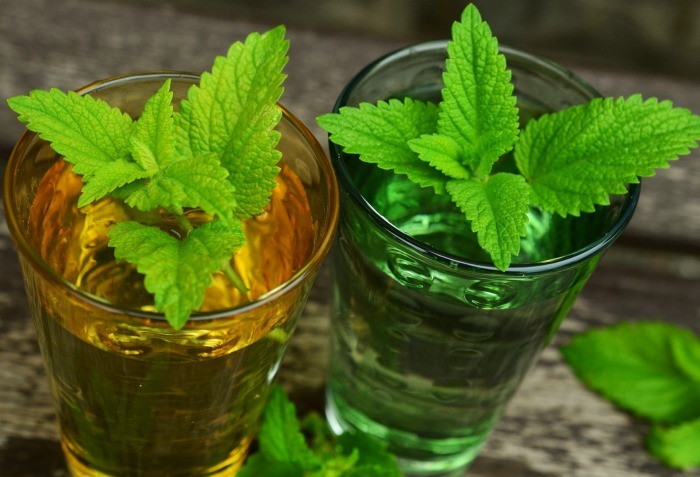 Grow lemon balm in full sun with some light shade in the hottest part of the day. 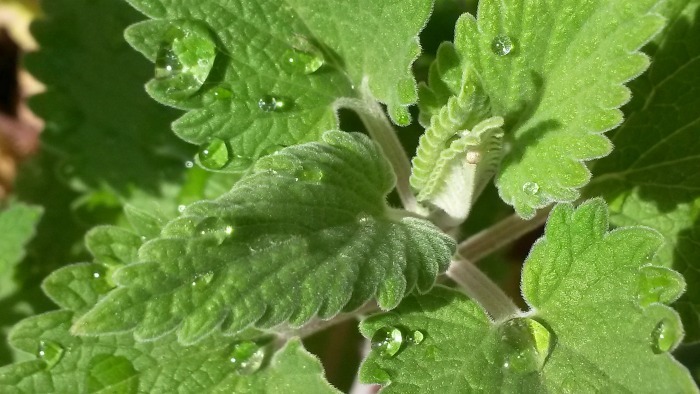 Lemon balm leaves go well with many herbs and add a lemony taste to salads, fruit dishes, teas and poultry recipes. This perennial herb is used as a spice in soups and sauces. It is used in recipes throughout Southeast Asia, particularly in Thai and Indonesian dishes. Lemon grass grows into a very large grass like plant. The main part of the plant that is used for cooking are the plump stems, although the leaves can be used, as well. All parts of the plant have a strong lemon flavor. 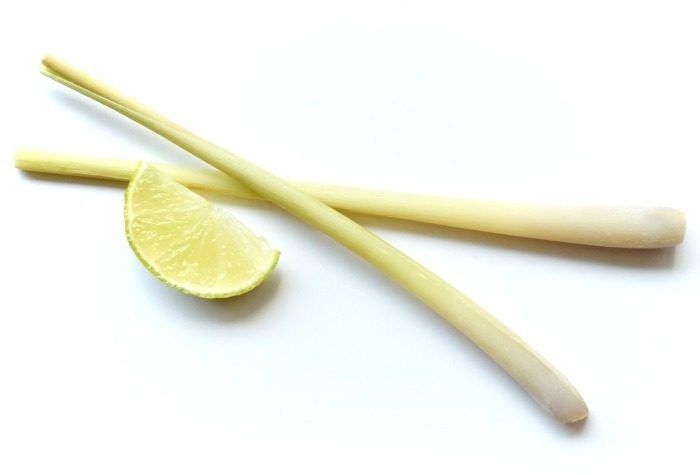 Lemongrass is cold hardy only in zones 9-10 so is considered a tender perennial. In colder zone, let it spend the summer outdoors but bring it inside over the winter. 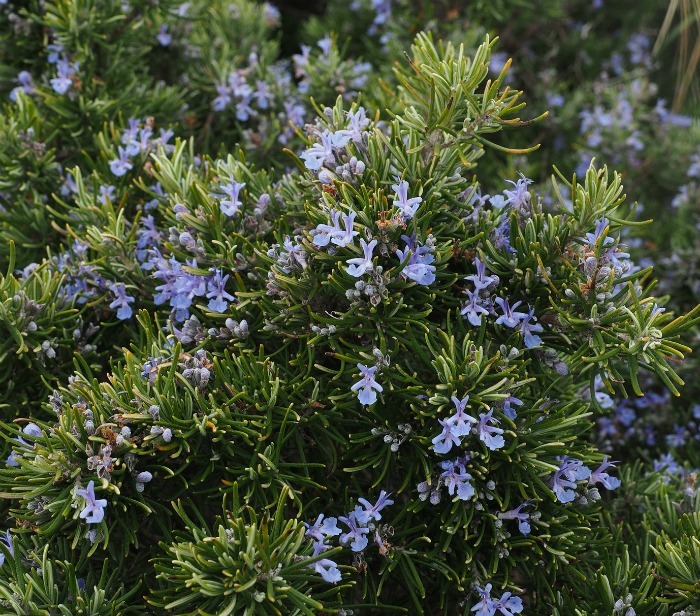 This small delicate shrub grows to about 18 inches tall. It is a native of South America and is often used to scent oils. 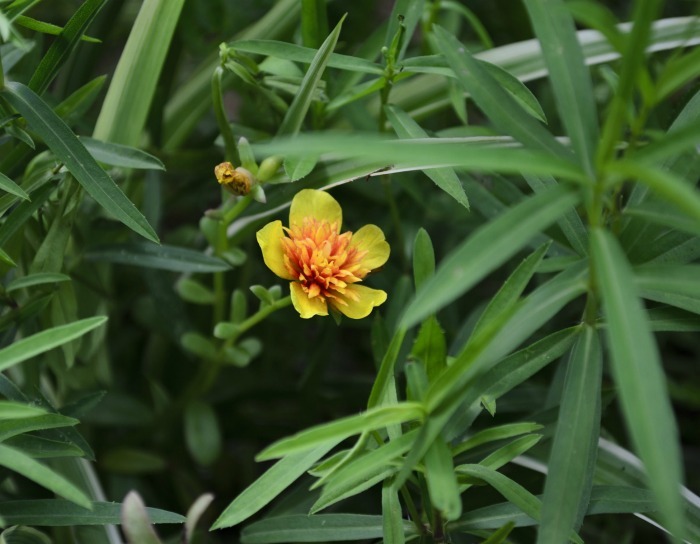 It is mainly used as a garnish in recipes, since the leaves tend to be quite sharp in flavor. You can also use the chopped leaves to add to sweet drinks and tea. It’s useful anytime you would like a strong lemon flavor or aroma. 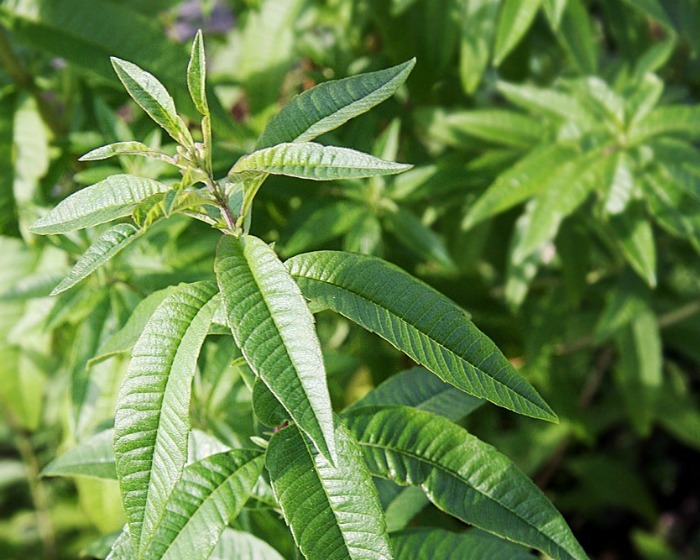 Lemon verbena is only cold hardy in zones 9-10. Otherwise treat it as an annual. This perennial herb is also known by the name love parsley. Even though it looks something like parsley, it has a flavor more like celery. It can grow to 3 feet tall and needs full sun. 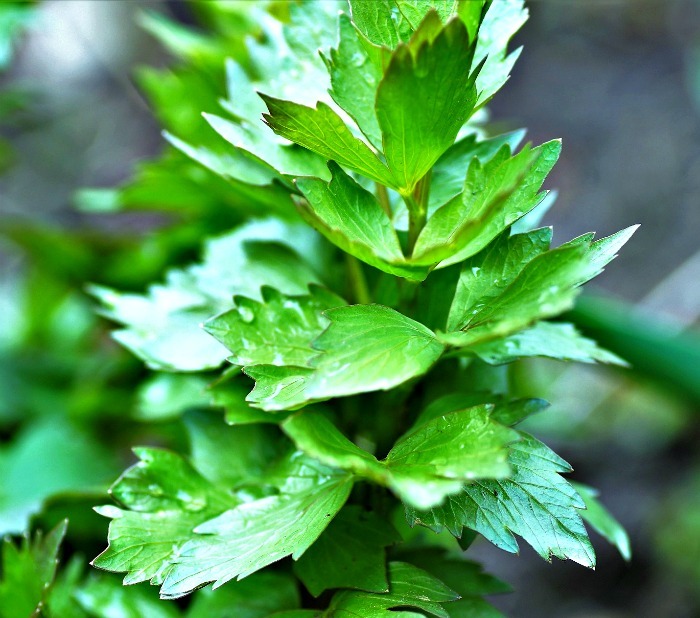 The leaves of lovage are delicious in soups, stews, broths and salads. They are also tasty in bread recipes and rice dishes. They add a pungent flavor to recipes. Cold hardy in zones 4-8 but may need some protection from the cold in zone 4. 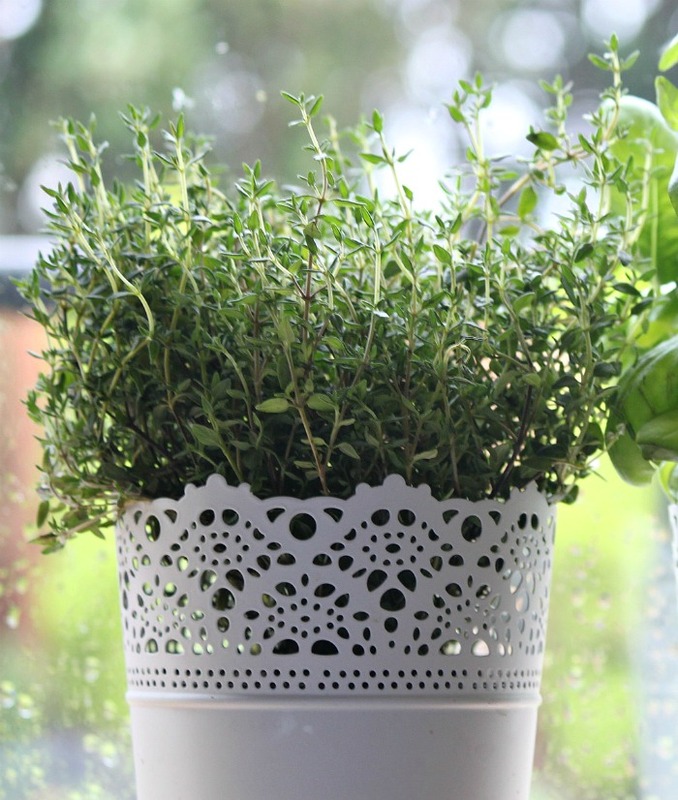 Have you ever had someone give you a potted herb but have no idea what the name of it is? Check out my herb identification page for a great graphic of herbs and some growing tips for them. 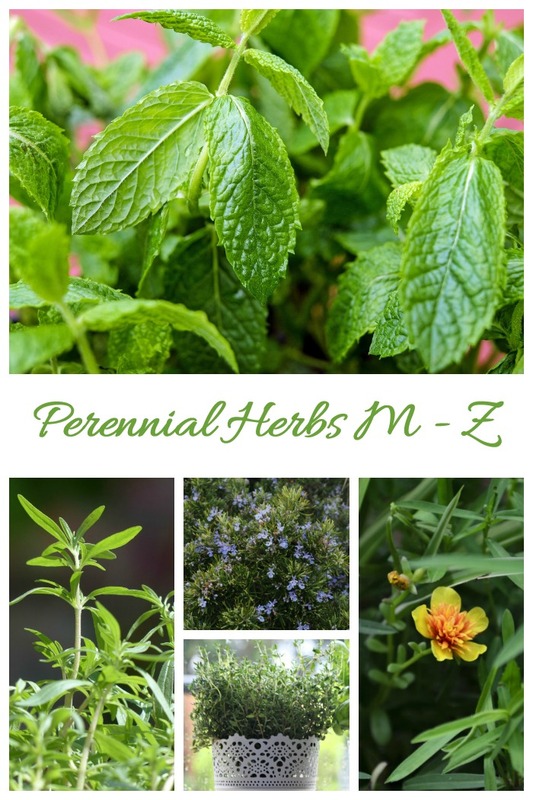 The following herbs are those that start with the letters M – Z. 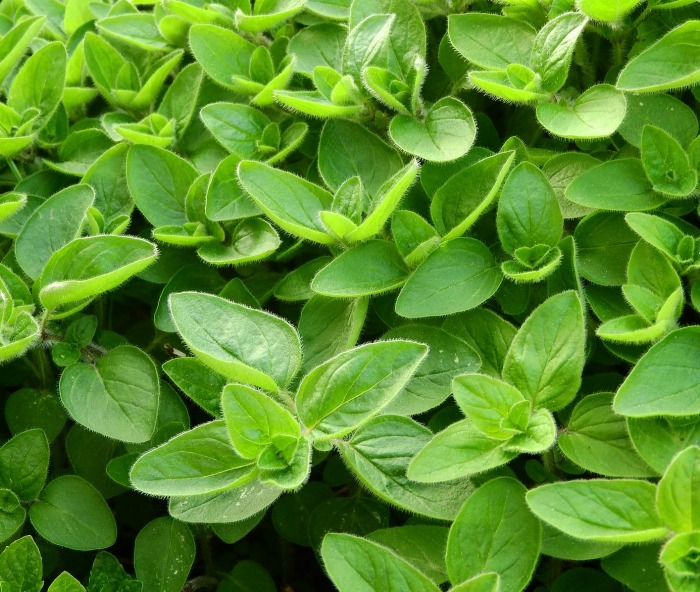 Sweet marjoram is a part of the oregano family and is a popular herb for cooking. It is a small plant, growing 6 to 20 inches and needs full sun with some mid day shade, possibly. Marjoram leaves have a flavor that is both sweet and spicy. They can be used in making teas and do a great job of adding some pizzazz to a salad. The herb is often used in Italian cooking, as well as other Mediterranean cuisines. The herb is only said to be hardy in zones 9-10 but I have heard of some gardeners stretching it to some of the colder zones. Otherwise grow marjoram as an annual. If you grow mint, be sure to try and keep it contained, since it is quite invasive and can take over a garden spot easily. The plant can grow to over 3 feet tall. Mint is very versatile in the kitchen. Use it to make flavorful teas. The leaves can be crystallized in sugar and used as a decoration for cakes and pastries. It is very popular when combined with chocolate. You can also use it in savory recipes to add fresh flavor to potatoes, vegetables and even soups and stews. 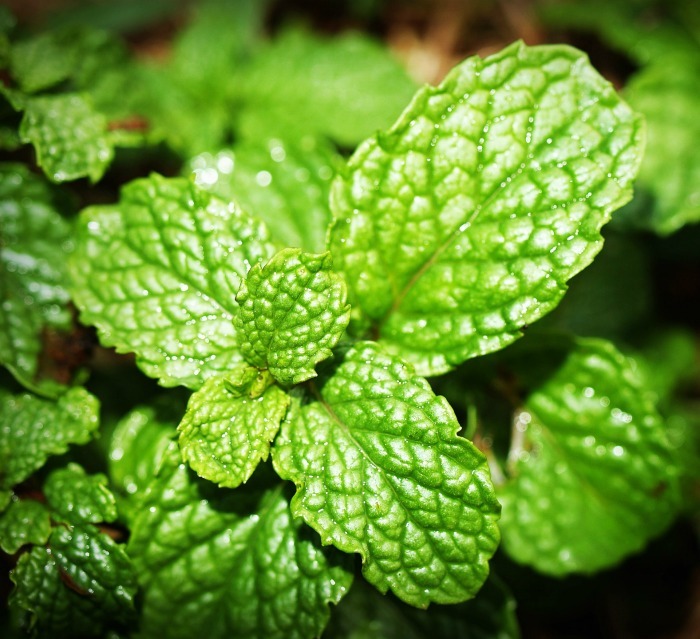 Mint is very popular in Middle Eastern cooking. There are many varieties and they vary as to cold hardiness, but most are cold hardy in zones 3-8. No list of perennial herbs would be complete without including oregano. I grow oregano year round, since it is one of my favorite kitchen herbs. There are many varieties of oregano, including both Italian and Greek versions. Oregano is often used in making a bouquet garni to flavor soups and stews. Oregano has a distinctive flavor that many describe as peppery. It combines well with garlic and is often used in Italian cooking. Use it on pizzas, with grilled meats and in spicy sauces. Cold hardy in zones 5-10. See my tips for growing oregano here. Use rosemary leaves to flavor pretty much anything from grilled meats (lamb loves it!) to fish, chicken, potatoes and other vegetables. You can even flavor fresh fruits with rosemary. The herb is commonly used around the holiday time. Rosemary is cold hardy in zones 6-10. The plant blooms with purple flowers that are also edible or can be used as a garnish to pretty up a plate. Check out this article for my tips for growing rosemary. If you enjoy making stuffings, you’ll love to use fresh sage. This perennial herb grows from 1-3 feet tall and loves the full sun, as well as some light shade. Be sure to harvest before the plant blooms in spring and again in late summer. 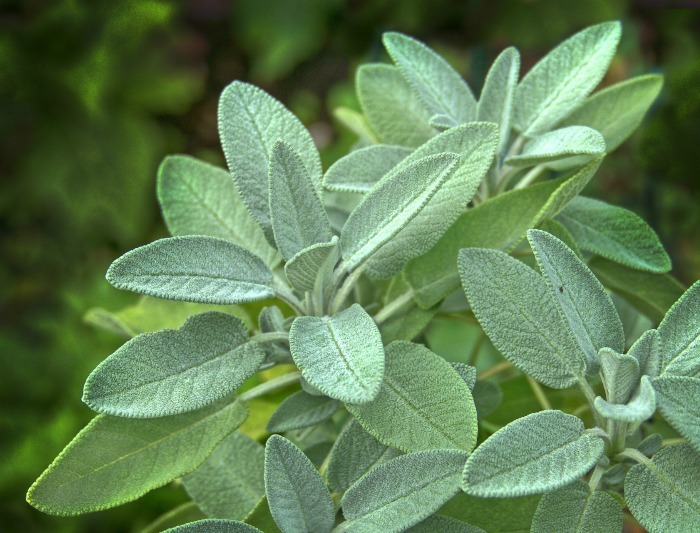 Sage is a flavorful herb that combines best with rich meats like pork, game and turkey. It also goes well with cheese dishes and makes an interesting herb infused vinegar. Sage is cold hardy in zones 5.9. 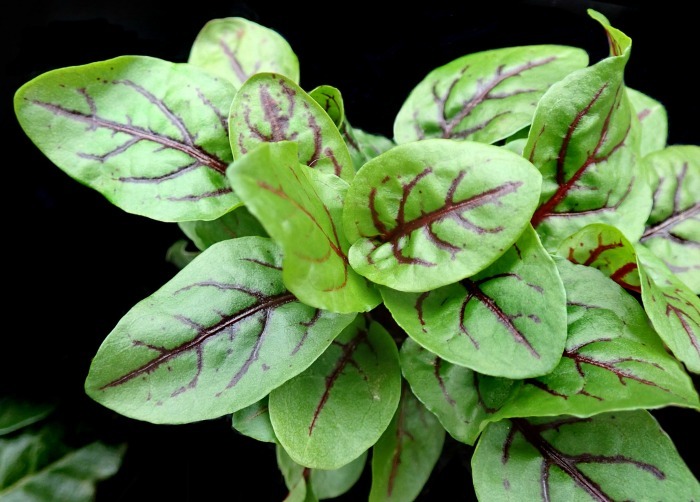 The leaves of sorrel can be plain green or veined in red. It is widely used in French cooking and has leaves that look a lot like spinach, or Swiss chard. The flavor is sharp and lemony. Use sorrel leaves as the base of sauces for eggs and fish dishes. It makes an interesting addition to salads and cooked vegetables. A popular use of it is in sorrel soup. Sorrel grows to about 18 inches tall and likes full sun. It grows best in early spring or fall. Sorrel is cold hardy in zones 4-9. This hardy perennial grows to 2-3 feet and likes a sunny spot that is sheltered from the wind. It grows from division or cuttings. Tarragon has a light, sweet licorice like flavor. It is great used in soups and stews and delightful with chicken, fish and game dishes. The herb is often used in bearnaise sauces. I use thyme all the time in my recipes. It’s a compact shrub that grows from 3″ to 18″ and needs full sign and well draining soil. Thyme has tiny leaves that can easily be stripped of the stems and added to recipes. It is great with stuffings, sauces and soups and adds a delicious flavor to poultry, fish, seafood and vegetable dishes. Most varieties of thyme are cold hardy in zones 5-10. See my tips for growing this versatile herb here. Rounding out my list of perennial herbs is winter savory. There are two varieties of savory (summer and winter). 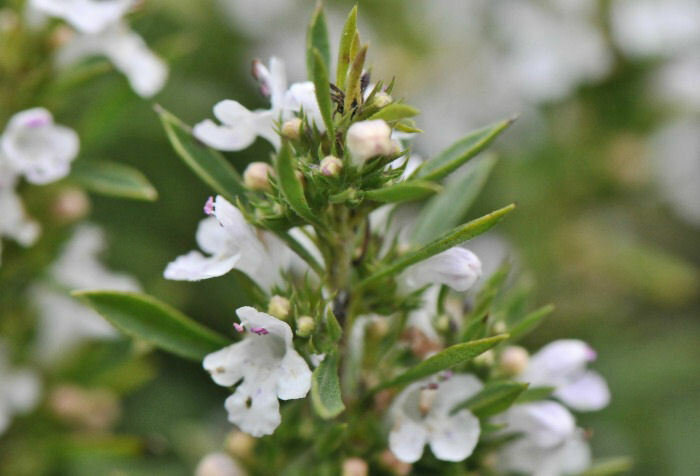 Winter savory is a perennial but summer savory is grown as an annual. The flavor of winter savory has a more powerful flavor than the summer version. The leaves are firm and rather tough so they should be removed from the stem. The flavor is at its best just before flowering. Savory is popular in bean dishes. When dried, it retains its full flavor. Winter savory is cold hardy in zones 5-8. There are several ways that you can grow or purchase perennial herbs. Some you may not thought of! 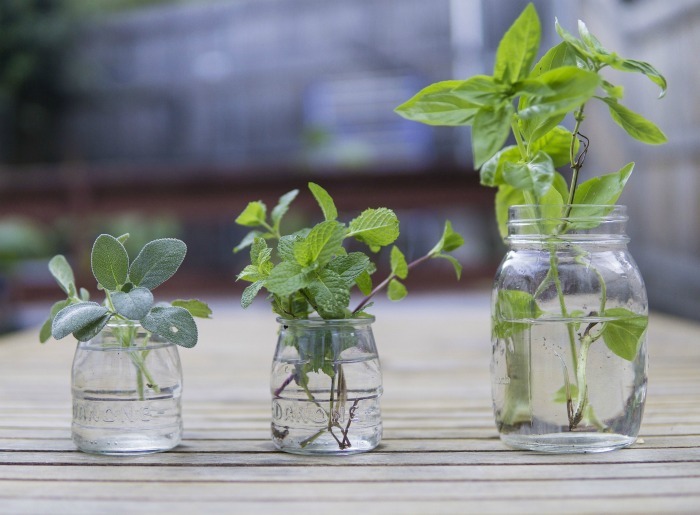 Many herbs can be grown from stem cuttings, so if you have a friend who grows them, ask if you can snip a piece off. Then root the cuttings in water or soil. One of the easiest ways to grow perennial herbs is from seed. 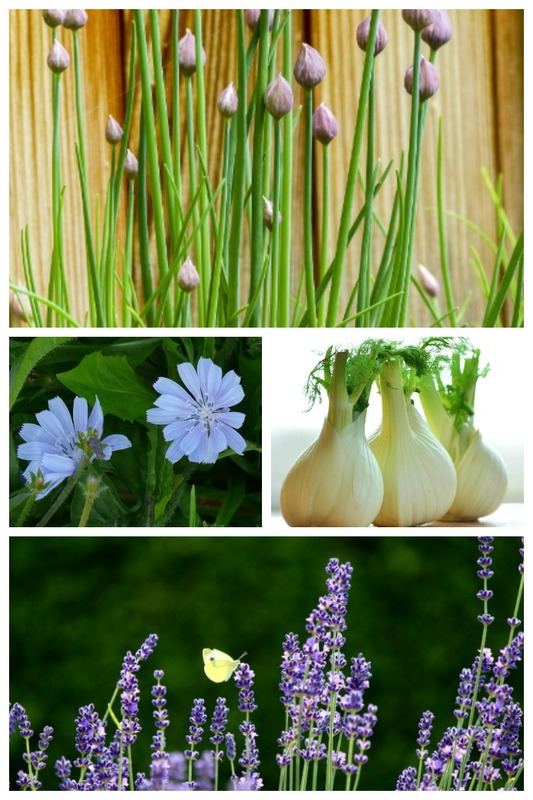 Fennel, oregano, lemon grass and thyme and many others are very easy to grow this way. Buying established herb plants is the quickest way to get your herb garden going. Many places now sell herb plants. Check out big box home improvement stores in their garden center. They seem to always have a big variety of the more commonly found ones. If you are looking for unusual perennial herbs, your local farmer’s market may have a wide range that you can’t find anywhere else. The produce section of many many grocery stores is a place that I often find perennial herbs, particularly in the spring and summer months. Be sure to also check online gardening sites. If you are looking for something really unusual, this may be the only place to find them. 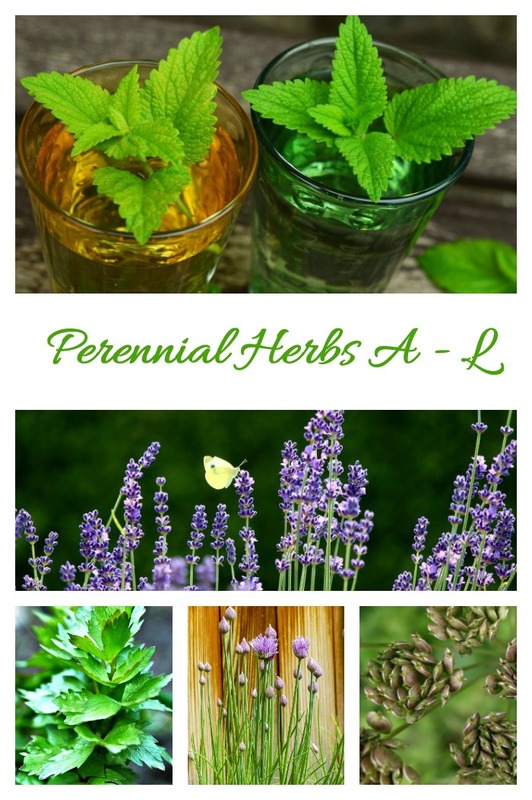 Would you like a reminder of this list of perennial herbs? Pin this image to one of your Pinterest Gardening boards for easy access later. Now it is your turn. Which of the plants from this list of perennial herbs do you use most often in your recipes? Let us know in the comments below.